Company culture is important to us at Front. In the spirit of transparency, we decided to publish this culture book. We hope it serves as a guide to our values as our team grows, and can be helpful for others who are working to mindfully grow their culture, too. Being a Fronteer is something pretty special. The company was founded on the idea that people could be happier at work. That mission persists and is the foundation of our values and our culture. Ask any Fronteer and they can quickly rattle off the values that serve as the foundation of our company culture. But if you ask them to describe the values, how we practice them, and how they contribute to the overall culture, you might get varying answers. This book is meant to get us on the same page. I’ve heard that the culture at Front is unique, how would you describe it? How do people work at Front? What does low-ego even mean? As far as I can remember, growing up in France I’ve always been stunned by the number of people who seemed to be dispassionate about their jobs. It felt so normal for everybody around me to dread the next Monday, to complain about the long hours and to resent their boss. I understood their feelings: they sounded truly miserable. But I couldn’t get myself to accept the idea. I thought: if I’m going to spend half of my waking hours doing one thing, I certainly hope I’m going to like it! That’s what I wanted for myself, and for the people around me. As a company, we could improve things locally, internally, by creating a work environment where employees thrive. As a software provider, we could improve things on a much bigger scale, by creating a product that makes people more productive, more informed, and more engaged at work. In short, I wanted to build a company where I would personally want to work. Now, the risk with publicly stating that our goal is for all employees to be happy at work is for some to start thinking they’re entitled to this happiness. I would like to warn you of the dangers of this approach. I am convinced that happiness has less to do with what happens to you, or what’s given to you, and more to do with what you make of it: the odds you overcome, the goals you accomplish, the journey you travel. Your happiness at Front will come from your own contributions. To guide how we each contribute to the company’s success, we have five core values: collaboration, transparency, care, low ego, high standards. Like “work happier,” some of these values can be ambiguous, which is why this book defines each one and provides examples of how we practice them. Feel free to make your mark on the values. Front’s culture evolves and gets stronger with each addition to the team. Just remember that Front’s values all go hand in hand. You collaborate best when you are transparent, caring, and approach challenges and opportunities with a low ego. The result is work that is reflective of our high standards. Thank you for all you do in pursuit of the work happier vision. What it means: At Front, being transparent means making relevant information and context easily accessible so that everyone can be more efficient and effective. We default to transparency and inherently trust employees to not abuse their access to information. We believe that by eliminating the power that can come from being one of only a few with access to information, we reduce internal politics and strife. The line is drawn, however, when information is about an individual (i.e. salaries, terminations) or when access to that information would just be a distraction from daily work. OKRs are set on a quarterly basis. The company OKRs are shared and inform team and individual OKRs. Results of the company OKRs are reported on and shared at the end of every quarter. We have an All Hands every week where the most important company metrics (revenue, opportunities, CSAT, uptime, DAUs, etc.) are shared and discussed. Dashboards around the office display each team’s results in real-time. Each department sends out a monthly recap on their performance. At the end of each quarter, Mathilde and the leadership team go into depth on the quarterly results, what went well, and what we can learn from. We conduct a post-mortem after issues and send a company-wide post-mortem outlining what went wrong and how we’ll improve. After every board meeting, the deck is shared with employees and Mathilde shares candid feedback from the board members. Via shared inboxes in Front, everyone has access to customer feedback and customer NPS results so it’s always clear what we’re doing well and where we need to improve. Every other week, Mathilde hosts an AMA-type session that all employees are welcome to attend. Each week, employees are invited to ask questions, anonymously if they choose, and Front leaders candidly respond to these questions at the end of All Hands. Everyone’s calendars are default public so you know how everyone spends their days. Notes from meetings where strategic company decisions are made are accessible by everyone. Front the product enables us to share inboxes and individual conversations so we can collaborate efficiently. Also via Front the product, employees can grant their managers or colleagues access to their individual inboxes to provide visibility into what they’re working on and/or to ensure all work is handled when they are out of the office. From day one, we’ve made our product roadmap public and encourage customers to post and upvote features they’d like us to build. To help other entrepreneurs, Mathilde shares her fundraising decks publicly. When something goes wrong, we tell our customers what really happened and how we’re working to make sure it doesn’t happen again. We are honest with customers about what our product does and what it doesn’t do. We don’t overpromise or sell to roadmap. What it means: Fronteers are inherently collaborative. We make a conscious effort to bring together different skills across different teams to create an outcome that’s bigger than the sum of its parts. And helping out for the greater good comes naturally to everyone. As a result, no team is considered “better” than another. The interests of each team and individual are given the same weight. That said, collaboration does not mean involving everyone all the time and moving slow as a result. Collaboration must still be efficient. Thanks to our product, collaborating is second nature. We efficiently bring people into conversations via comments and provide visibility into work being done via shared inboxes. Because we collaborate with Front at Front, we model efficient, email-based collaboration for our customers too. Once a year, the entire Front team gathers for a multi-day offsite. These offsites are intended to encourage cross-department and cross-office collaboration. When a new hire starts at Front, they are assigned a buddy from a different team to help introduce them to the company and build relationships outside their immediate teams. The engineering leadership at Front encourages engineers to be available during regular business hours and the Paris team adjusts their schedules so there are a certain number of hours per day when cross-team and cross-office collaboration can happen in real-time. The Account Executives regularly get together for deal teardowns in which they discuss the deals they’re stuck on and brainstorm ways to unblock them. We have employee-run committees that bring together people from various teams to plan social events, manage the Front Foundation, and foster relationships across the SF and Paris offices. What it means: We are all passionate about our work and strive for greatness every day — both in our work and in how we treat each other. This means we diligently track towards goals, aim to exceed expectations, and always look for ways to improve. But we aren’t striving for perfection. We understand that building Front is often a zero-sum game: focusing on one thing means taking resources away from something else. So we always strive to maximize the impact of our work. We strive to understand our customers’ problems so we can prioritize their needs. Through weekly customer spotlights in All Hands, inviting new hires to shadow customer calls, and quarterly NPS surveys, we are constantly learning about our customers and how our product can better suit their needs. We have ambitious goals and we hold ourselves accountable to them. We’re rigorous about setting and honestly reporting on our OKRs. For product development, we might strategically dedicate a lot of resources to shipping something that will improve the lives of 90% of customers today, and deprioritize the things that only serve 10%. From code reviews to email tests, we always look to our colleagues for input, reviews, and new perspectives — because two (or more) brains are always better than one. We hire slow and keep the bar high, only extending offers to people that strongly fit the job requirements, have passed rigorous back channel reference checks, and align with our values. We are selective about our investors and extensively reference check our board members. What it means: Our vision is “work happier” and we take that literally. We want everyone — colleagues and customers alike — to be happy at work. We encourage each person to take care of their mind and body so that they can bring their best selves to work. And by approaching situations from a caring perspective, we strive to have tough conversations and make tough decisions without being hurtful or judgmental. Front abides by the principles of “radical candor.” When you practice radical candor, you are encouraged to challenge colleagues directly while at the same time showing them that you care personally. A common example is rather than ignoring a colleague’s bad habit, such as overusing “like” or “um” when presenting, you would point out what he is doing, explain how it makes him sound, and offer suggestions for how he could correct it. Managers conduct regular check-ins with employees to determine what is making them happy at work, what is making them less happy, and to discuss fixes that can ensure better balance. We offer flexible PTO and encourage employees to take at least two weeks off per year so they have an opportunity to disconnect and recharge. Mathilde models this behavior by taking 25 days of PTO per year and regularly disconnecting while she’s gone. We offer a monthly $100 health and wellness reimbursement so employees can join a gym, take a class, do some guided meditation, whatever gets them active or calms their mind. We also host an annual health and wellness week where we bring in speakers and plan activities that promote physical and mental health. Mathilde challenged employees to disable notifications on their phones and computers to reduce distractions and take back control of when you switch to new tasks. We opened an office in Paris in part to avoid requiring people based in San Francisco to be on call or working overnight. All employees are regularly invited to spend 15 minutes in the Support queue helping Front customers with their questions. With Support team members on hand to make sure responses are accurate, this exercise exposes all employees to the customer and helps them connect with their use cases, challenges, and opportunities with Front. We’ve set up a system so that when bugs are fixed or features are shipped, all customer messages with that bug or feature tagged are re-opened and assigned to staff who follow up letting the customer know that their request has been fulfilled. For the 2018 holidays, we decided to have a little fun with this and created videos about the latest features and improvements we shipped. What it means: Fronteers have egos, everyone does. But when it comes to making Front decisions, we put those egos aside and think first about what would be best for the company or the team. We trust each other to make the right decisions and we support each other in pursuit of our goals. But, we know we’re not perfect, and things won’t always go to plan. So when things go south, we talk about it and learn from our mistakes. Each week in All Hands, a Fronteer shares his or her Stumble of the Week. By encouraging employees of all levels (even our CEO and other leaders) to openly discuss their mistakes, we create a culture of humility and continuous improvement. When we spot a problem, we don’t complain or pass it along to others to fix. We focus on solving it, even if it’s not our job to do so. We rarely have large meetings. We are thoughtful about who needs to be involved and trust each other to make the best decisions for the company’s success. We keep our job title structure relatively flat. For example, all of our engineers’ titles are “Software Engineer” regardless of level or experience. We are quick to help each other out — whether it’s to help another team brainstorm how to overcome a challenge or simply emptying the dishwasher. No task is too small for anyone. As a reflection of our mission and values, we care deeply about creating an inclusive workplace where anyone can belong and be professionally fulfilled. There is still a lot we need and intend to do to create a more diverse workforce, but our values have given us a strong foundation to build upon. We recognize our differences and embrace the new perspectives those differences can provide. We understand that everyone has biases, but rather than ignore them, we strive to learn why they exist and how we can overcome them. We hire for skills and alignment to our values, not for similarities to the existing team. We do not tolerate marginalization or discrimination and empower everyone to speak up candidly to their manager, any company leader, or to our dedicated and confidential HR team if they see or experience this behavior. How will I be successful at Front? We are committed to bringing out the best in ourselves and our teammates. We know this will add value for Front, but it also contributes to each person’s own career growth and development. We want Fronteers to make meaningful contributions to the company, but also feel professionally fulfilled by their work at Front. Built on a foundation of trust, we provide autonomy and use candid feedback to guide each other. We also invest in learning through tools and trainings designed to amplify growth. At Front, all employees are invited to two company-wide trainings per quarter. We get input from the team on which trainings they will find most useful for them. The trainings are typically focused on building skillsets that will be useful both in and out of the workplace. 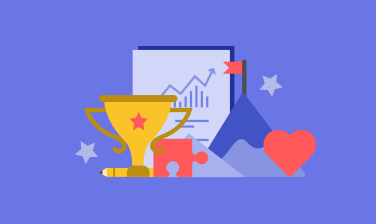 Managers have additional trainings that give them the tools to build great teams, support people in their careers, and help their teams execute on the most important initiatives of the company. We also help managers make the most out of their time with their direct reports. Ensuring they are checking in on how each of their teammates are doing, what is making them happy, what is making them unhappy, while also providing ample time for job-related feedback and coaching. We believe that role clarity enables people to focus and understand how to best master the role they are in. We give skill-based coaching and feedback and use growth plans to outline expectations and focus areas so Fronteers can hone in on what will make them the best they can be in their role. We know that not every career path is linear and neither is growth. So we allow people to move internally or take on a variety of projects that challenge and expand their skillsets. These tools and trainings are just one component to success at Front. Ultimately, you will be successful at Front if you embrace the values, are transparent about what you need to grow and excel, and bring a growth mindset to work every day.